In the garden of Dr. Karel Hostaš Museum of Natural History in Klatovy, a historical building from the end of the 19th century, stands not too large a building which presents in its form an equivalent counterpart to the even older exhibition space. It is the Glass Pavilion, awarded the first place in the prestigious Grand Prix competition of Czech architects in 2015. The small pavilion was built as part of the Action Z at the turn of the 1950s and 1960s. 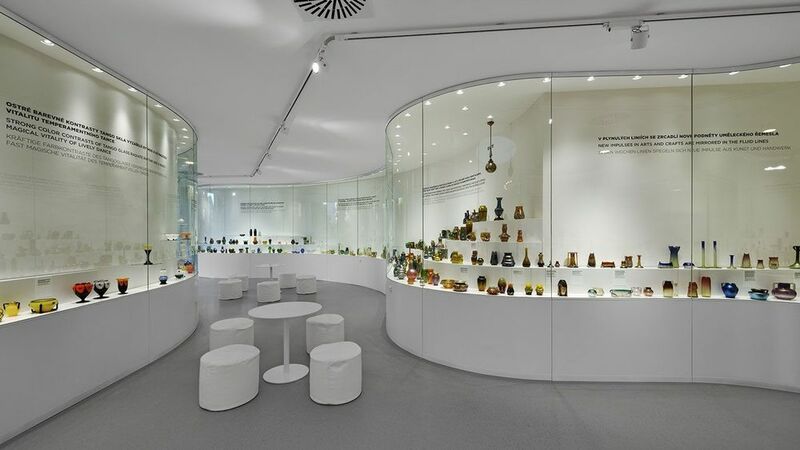 It served as a base for the organization of various exhibitions and was later used mainly as a storage space and a workshop of a neighbouring museum. Over the decades more and more construction layers were added to the building and its state and the state of its immediate vicinity became rather unsatisfactory. However, thanks to several coinciding circumstances the building was successfully revitalized and used newly agin for exhibition purposes. The beginning of the reconstruction started on the account of Jiří Štancl, an Austrian glass collector looking for exhibition spaces, and a city architect Eva Brandová. 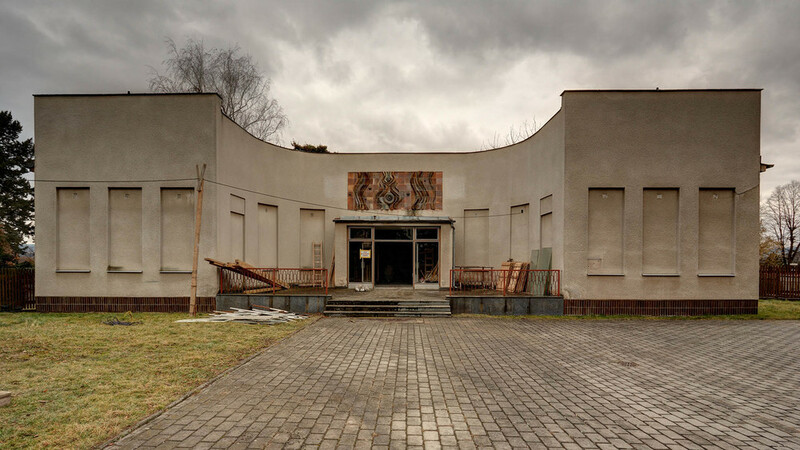 Štancl, an engaged vice-deputy lobbied for the reconstruction of the dilapidated building and Brandová used her experience to attract unusually distinguished architects to take part in the architectural competition. The victorious studio Atelier25 with members Kožnar and Bíza started with the removal of the parts that were added to the original building. The simple and clean facade enhanced the purity of the ground plan forming a U-shape. The approach to the spatial arrangement and the overall relationship with the neighbouring environment was completely different. Instead of a concrete terrace that used to determine the character of the area in front of the pavilion the architects decided to use grassing pavement into which they placed a mobiliary that was used for example during various outdoor exhibitions or other social events. However, it is important to note that this part of the project seems rather half-hearted compared to the rest of the revitalization and raises a question of whether the garden should undergo another re-evaluation in the following years. The axially located entrance to the older building was walled and in its place two new holes in the gable's peaks were made. One of the objects was transformed into the main entrance to the building that is newly connected to a concrete ramp. It enters the very heart of the building, providing the visitor with a sense of a firm connection of the inner and outer space. This is even further supported by the second entrance on the other peak of the building, where the architects placed a large-format window that looks out into the garden. Distortion of the axial symmetry provided the architects with the opportunity to fully develop the potential of the exhibition space. Organically shaped showcases were placed alongside the pure white walls, which harmoniously unify the interior and thanks to their folds in combination with the bending of the entire building evoke the feeling of endless space. Not even the shape of the staircase going deep into the building where building's service is located stands out in its form. Similarly soft in appearance are the organic skylight above the central area or the cash desk. It is exactly the concept of these elements that refers to the overall composition of the building and underlines the profound experience of the visitor.